You can set your own background using your own photos, photos from your phone, etc. 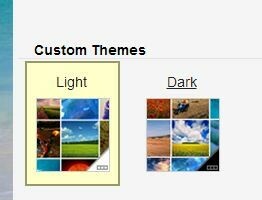 Click on the settings gear in email, go to themes, go to the center of the page where you see custom themes, click on "change your background image" underneath the light/dark buttons and you will see the picture (second one) below. 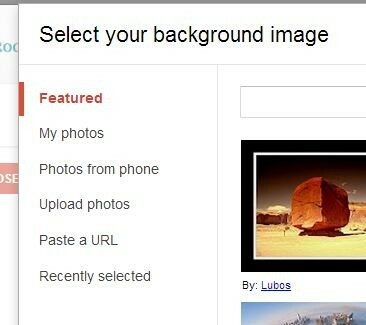 Featured will be your choices from gmail, the other options allow you to use your own photos. From your notebook page, select View, and then Alignment. A guides menu will appear on the screen giving you the options to create your alignment guides. You can check all the boxes or just the ones that you need for this particular page, and then give your guidelines a color and click okay. Depending on the boxes you checked, your page will either be broken into two quadrants or four from the guides menu you can also set objects to automatically align as you move them to the page.